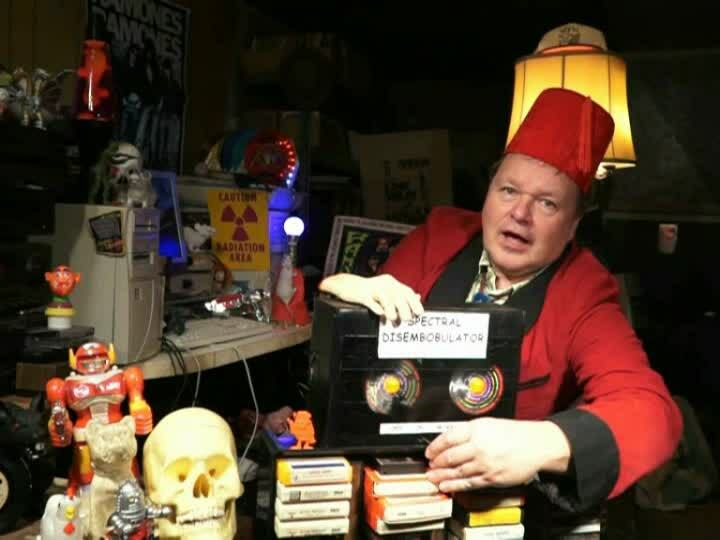 Dust off that Stetson and soap up that saddle cuz it’s time to ride the range with UNCLE PETE and his trusty steed Ol’ Potmetal as they bring you The Classic Television Spectacular – Part III on this week’s DARK VAULT OF PUBLIC DOMAIN!!!. We’ll ride with Bat Masterson (Gene Barry) and guest stars William (Frank Cannon) Conrad and James (Roscoe P. Coltrane) Best as Bat moseys into a tent city just about to hold a necktie party. But the guest of honor might be innocent so Bat steps in and gunplay and brawlin’ ensue in Stampede In Tent City. For hard ridin’, straight shootin’, and suspense, you can’t beat the First Gal of The Old West – Annie Oakley (Gail Davis). At least that’s what the intro tells us! Gail, a frequent co-star of Gene Autry , appeared in 81 episodes along with her horse Target, lawman Lofty Cragg (Brad Johnson), and little brother Tag (Jimmy Hawkins) from 1954 through 1957. Here in Shadow At Sonoma (1956), there’s trouble at the county fair as Annie spots a dead ringer for Lofty who ain’t no straight shooter. Next we add a little color (literally) with an episode of The Cisco Kid. The “Robin Hood Of The Old West” came to TV from radio in 1950 with Duncan Renaldo as Cisco and Leo Carrillo as his sidekick Pancho. Each week they and their horses Diablo and Loco righted wrongs, helped the unfortunate and rescued the put-upon. In this episode Cisco and Pancho face bushwhackers, murderers, and some spooky stuff in Ghost Story. 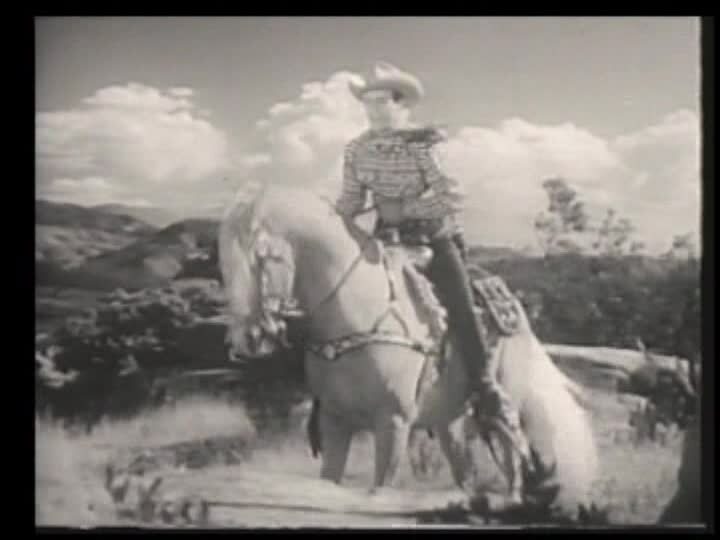 Then it’s the King Of The Cowboys – Roy Rogers (played by Roy Rogers). Roy, horse Trigger, dog Bullet, sweetie Dale Evans – Queen Of The West, Dale’s horse Buttermilk and comic sidekick Pat Brady with his jeep Nellie Belle rode the range finding bad guys and helping out folks that needed help. The show aired from 1951 to 1957. In this episode, Roy and his gang help little Lucy who has just lost her Mommy and whose Daddy has a price on his head for some hanky panky at the banky, er bank. Roy must prove Lucy’s Daddy isn’t an outlaw before the law or the bad guys settle his hash first. It’s Unwilling Outlaw on The Roy Rogers Show. It’s gettin’ chilly but there ain’t no snow outside the DARK VAULT, so we’re gonna head up north for some flurries (and a beer) then back down south for some diamonds (and a gorilla). Join UNCLE PETE for a film tour this Saturday – first, off to the Yukon with The Fatal Glass Of Beer. Written by and starring comedic genius W.C. Fields (as Mr. Snavely), it chronicles – with song and flashback – the sad story of son Chester Snavely (George Chandler) who left his rural, snowbound home for the big city where he succumbed (succamed?) to the evils of hard drink. Filled with dramatic acting like you read about (if you read the right books), a legendary gloved zither performance, and non-stop gags – especially involving the words “it ain’t a fit night out for man or beast” – it’s The Fatal Glass Of Beer (1933)! Next, it’s pith helmets on, UNCLE PETE and off to deepest, darkest Africa for our feature with Abbott and Costello in Africa Screams (1949)! When shady lady Diana Emerson (the gorgeous Hillary Brooke) says she’ll pay big bucks for a lost map created by a legendary African explorer, Buzz Johnson (Bud Abbott) passes off his friend Stanley Livington (Lou Costello) as an explorer who accompanied the creator of the map. But Buzz discovers the real goal of the expedition is to find a fortune in diamonds and by sheer dumb luck (the best kind) Buzz and Stanley find the diamonds first, along with a village of hungry cannibals. Fortunately, Stanley’s new gorilla friend just might be able to help. This famous folks in this film include boxing legends Max and Buddy Baer, two guys familiar with the real Africa and wild beasties – hunter/collector Frank Buck and legendary animal trainer Clyde Beatty, and comedy legends Shemp Howard and Joe Besser in their only appearance together. Also, it’s the first time Abbott and Costello appeared with Joe Besser and Hillary Brooke, regulars on their TV show. Directed by Charles Barton, it’s Africa Screams! UNCLE PETE and Max are in the Control Room of THE DARK VAULT, safe from the raging Yukon snow storm – or so they think until a bit of a blizzard kicks up. But despite the Arctic conditions, UNCLE PETE still manages to dig up a drift of trailers and fun bits. So tune in this Saturday, January 5, 2019 from 10PM to midnight (with a replay at midnight) on channel 1301 (Binghamton, Montrose/Sayre, Elmira/Corning/Hornell), channel 99 for the Utica/Rome area, channel 30 in the North Country (Watertown/Champlain/Ogdensburg/Malone/Massena) and channel 2 in Cortland County and the tri-lakes area (Tupper, Champlain, and Saranac). And in Ithaca, watch us on channel 13 at 9PM and midnight! From tundra to the jungle, it’s The Fatal Glass Of Beer and Africa Screams on the next DARK VAULT OF PUBLIC DOMAIN! Saturday is Christmas Eve Eve Eve! And in keeping with the festivities, on this week’s THE DARK VAULT OF PUBLIC DOMAIN, UNCLE PETE and his trusty sidekick OXNARD present the fourth part of our month-long Christmas party – the 1959 classic – SANTA CLAUS. Made entirely in Mexico (the obvious place to make a movie about Santa Claus), this gem reveals some of the previously unknown secrets of Santa’s workshop and how he manages that annual trip bringing joy to all the world’s good girls and boys. But Santa has more than delivering toys and foggy nights to worry about this year. The devil doesn’t like Christmas so he sends Pitch, one of his henchmen, to foul up things for Santa. It’s a battle of good versus evil with some science, a little magic and a large dose of fun in UNCLE PETE’s favorite Santa Claus movie. Made in 1959 and released in the U.S.A. a few years later, it’s SANTA CLAUS. UNCLE PETE and OXNARD were working on some experiments and observing a few DARK VAULT Christmas traditions at a remote research facility and are heading back to the DARK VAULT for the annual Boiler Room Christmas Party. Except, the research facility is so remote that UNCLE PETE isn’t sure how to get back there. So it’s up to the miraculous, infallible sniffer of the mighty OXNARD to lead them home to the party. Along the way, UNCLE PETE digs up the first Rudolph The Red-Nosed Reindeer cartoon, some slick singing sisters performing Winter Wonderland, a Christmas short with Paul Winchell and Jerry Mahoney and several other Christmas shorts and great toy commercials (including one for Gaylord, the niftiest mechanical hound dog ever!). There’s even some vintage footage of UNCLE PETE’s family (including his Mom, Dad, and brother) whooping it up in a Christmas of long ago . It’s time for the third hunk of the DARK VAULT OF PUBLIC DOMAIN month-long Christmas celebration! Join UNCLE PETE for some amazing animated antics in The Cavalcade Of Cartoon Carnage – Part II. Picking up where the now legendary inaugural Cavalcade Of Cartoon Carnage – Part I left off, UNCLE PETE has been diggin’ some diggin’ in the animated section of The Cinema Graveyard to bring you some of the best, the worst, and the most obscure cartoons from the 1920s to the 1950s. Popeye and Bluto become business competitors in more ways than one and there’s The 3 Bears like you may never have seen them. There’s an installment from the Alice series of live/animation mixed creations that saved a certain studio for a certain mouse. And speaking of mice, Herman the mouse does a little coaching for a timid rooster. From the VanBeuren/Paul Terry world, Tom and Jerry make some surreal drawings and Farmer Alfalfa channels UNCLE PETE on the radio. Gumby and The Three Stooges have some automotive mishaps and our favorite cartoon cutie – Betty Boop – follows suit in the Musical Mountaineers. And Felix Finds Out (but finds out what?). For all you cartoon firearms fans, Molly Moo Cow tries to preserve nature in The Hunting Season and Oswald the Rabbit gets fired up in Great Guns. Then it’s time for the big musical finale as Owl Jolson croons in I like To Singa and Popeye, Peepeye, Poopeye, Pipeye, and Pupeye tear up the place with a full-blown jam session in Me Musical Nephews. 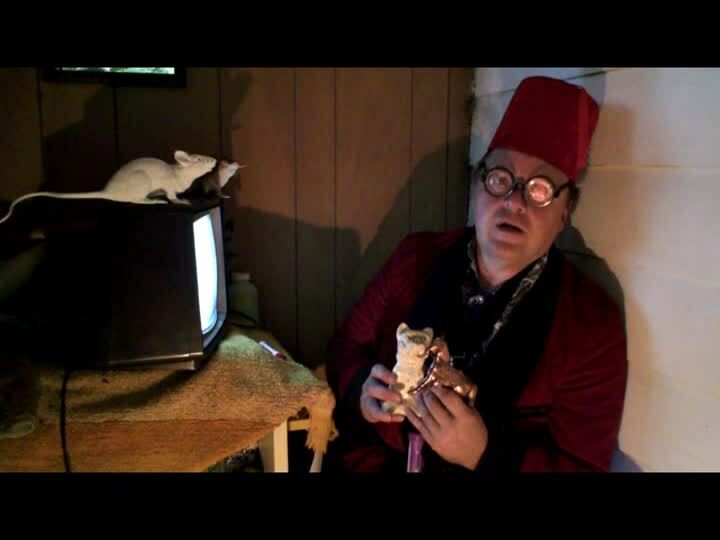 Down in The Dark Vault Laboratory, UNCLE PETE cavorts with his cartoon buddies, does a self-portrait, and receives yet another suspicious candle from El Vato. Will this candle be a blast too, or will UNCLE PETE learn from history. To find out, tune in this Saturday night from 10PM to midnight on channel 1301 in the Binghamton area and the Corning/Hornell/Elmira and Montrose/Sayre, PA vicinity, channel 2 around Champlain, Saranac and Tupper Lakes, channel 2 in Cortland County, and channel 30 throughout the rest of the North Country (Watertown/Champlain/Massena/Malone/Ogdensburg/etc.). And for all you who might be shopping, baking, wrapping, or festivating late – don’t forget the replay at midnight! Watch us in the Ithaca, NY area on channel 13 at 9pm and midnight. And this week, you can also see this episode on Beta Max TV on all Roku TVs and devices (www.facebook.com/BetaMaxTV/, www,betamaxtv.com). The Christmas revelry continues with UNCLE PETE and The Cavalcade Of Cartoon Carnage – Part II – a Brand New Episode – on the next DARK VAULT OF PUBLIC DOMAIN!!! Red Planet, green men (and women). Red jacket, green dinosaur. 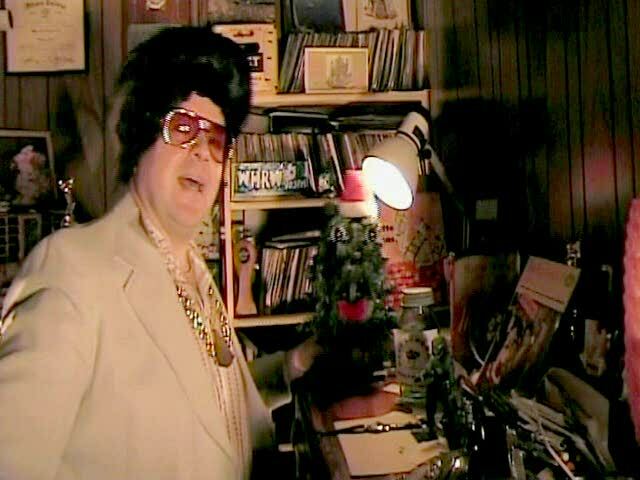 It’s all lookin’ Christmassy in the movie and in the boiler room at THE DARK VAULT OF PUBLIC DOMAIN this Saturday! UNCLE PETE’S red fez and the green Christmas tree, El Vato’s red eyes and that green leafy stuff he carries around (he claims it’s spearmint) all fits in for week 2 of our Christmas celebration with The Annual Dark Vault Of Public Domain Christmas Special – Number 1 featuring one of the most beloved Christmas movies of all time – Santa Claus Conquers The Martians!!! The whole DARK VAULT gang will be in and around The Dark Vault Boiler Room for some tree trimming, gift giving, story telling, refreshment consuming, and loads of holiday cheer. 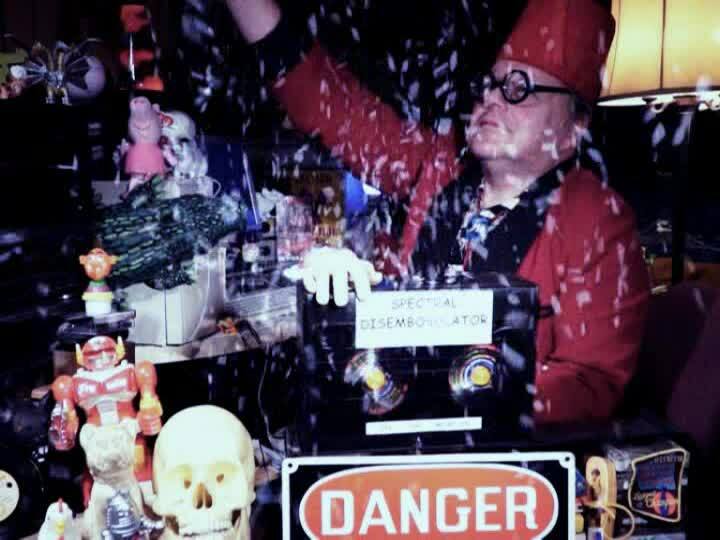 UNCLE PETE and El Vato have once again braved the frozen things in the Cinema Graveyard to resurrect some great Christmas shorts and commercials too. Bundle up cuz we’re gonna take a trip to the North Pole before our feature in the cartoon – The Shanty Where Santy Claus Lives. You’ll see VITO GOLD and Vitobot, a singing Christmas Tree, El Vato and the rest of the Clones and lots of visitors. Light up a fruitcake and cut yourself a slice of eggnog and join UNCLE PETE for The Annual Dark Vault Of Public Domain Christmas Special – Number 1! It’s the second part of our Christmas gift to you and if you work it right, you can make it your Christmas gift to your friends too! And if your friends aren’t quite satisfied, tell them that they’ll get the other half of their present in the next couple week’s of DVOPDs (but only if they bring some Christmas goodies). It’s the perfect break from Christmas errands! 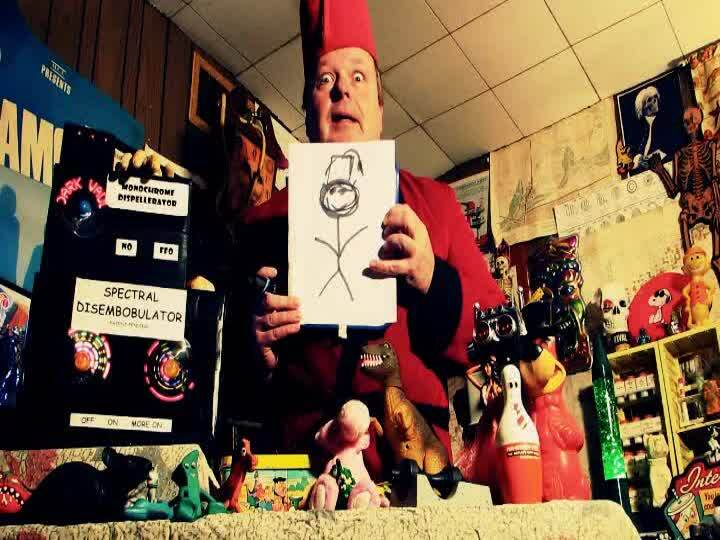 Enjoy a Christmas tradition with UNCLE PETE for Santa Claus Conquers The Martians this Saturday, December 8 , 2018 from 10PM to midnight on channel 1301 around Binghamton, Elmira/Hornell/Corning and (Sayre/Montrose and northern PA, channel 99 around Utica/Rome, channel 30 throughout the north country (Ogdensburg/Champlain/Watertown/Massena/Malone), channel 2 around the tri-lakes area (Champlain, Saranac and Tupper Lakes), and channel 3 in Cortland County with a replay at midnight. And around the Ithaca, NY area, we’re on channel 13 at 9pm and midnight. 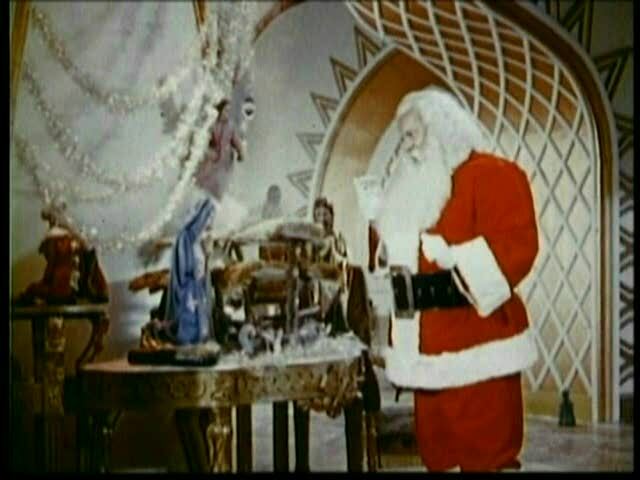 It’s The Annual Dark Vault Of Public Domain Christmas Special – Number 1 – Santa Claus Conquers The Martians right inside your TV on THE DARK VAULT OF PUBLIC DOMAIN!